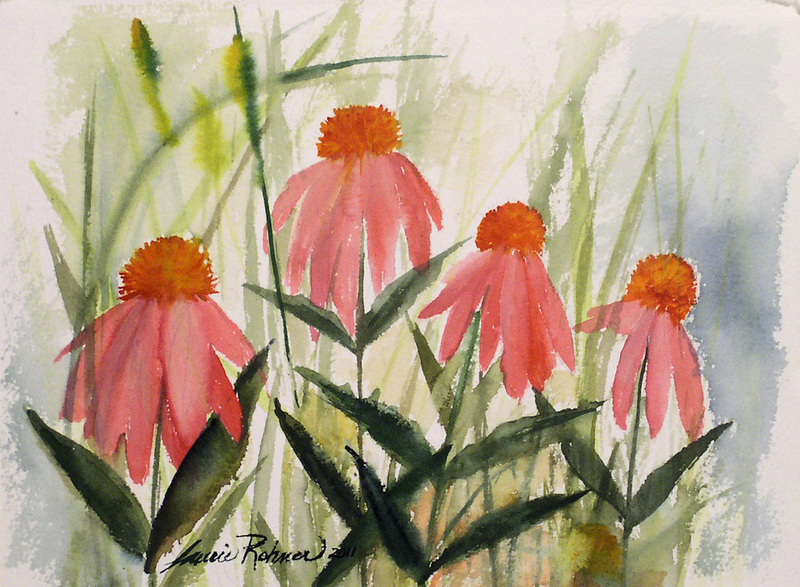 SOLD Art botanical garden flowers, woodland herbs wildflowers and fern renderings are painted watercolor original paintings on paper by Laurie Rohner. 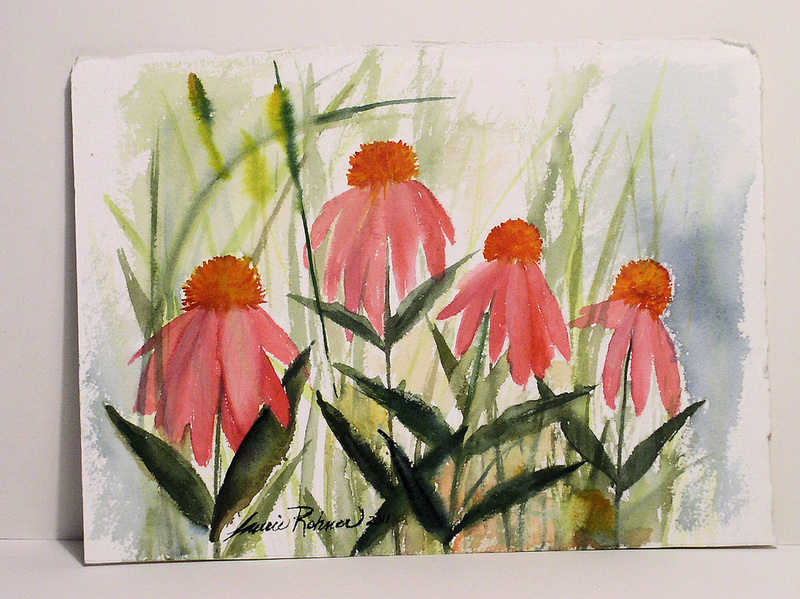 An original watercolor painting of bright pink coneflowers dancing in a botanical garden is painted by hand nature art titled In the Pink by Laurie Rohner. Very colorful flowers. Amazing value and wonderful natural history illustration. Paper Type: Arches 140lb hot pressed watercolor rag paper. Signature: Laurie Rohner on the front, tile, signed, date, on verso.